Café Rouge is a chain of French Restaurants with locations throughout the UK open for lunch and dinner. Serving a range of French cuisine, Café Rouge wants your feedback on your dining experience from the staff and service to the food. Give your feedback at www.caferouge-feedback.co.uk and get a free dessert. The Café Rouge Feedback Survey is your chance to give your honest opinion on your recent visit to the French café. Were you satisfied with the experience, or could something have been better? Enter the survey and you could win £250 Café Rouge Vouchers as well as receive a free dessert for taking the time to give your feedback. Café Rouge would like to hear your feedback on your most recent visit to a Café Rouge Restaurant. 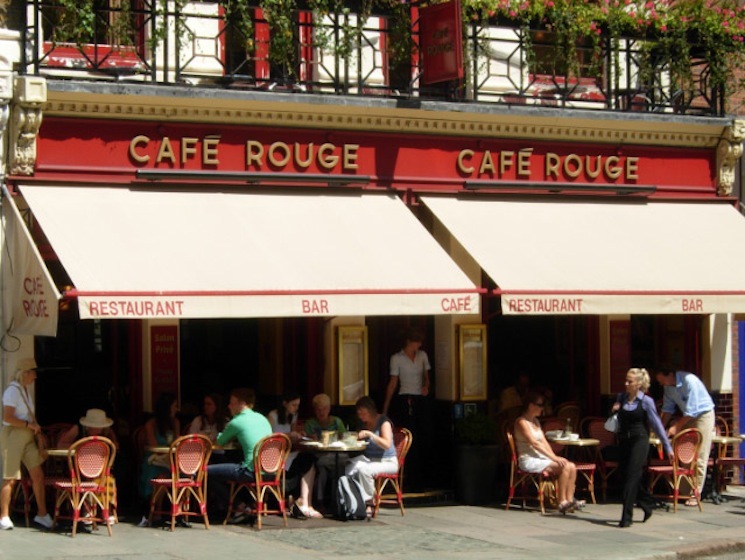 Visit the survey website at www.caferouge-feedback.co.uk and enter the feedback code that can be found on your Café Rouge receipt. If you do not have a receipt you can click the link stating no code and enter the name of the Café Rouge visited, date and time of visit. Continue to answer questions on your visit and whether you would recommend Café Rouge to friends and family. Once you have answered all questions you will be given a coupon code to write down and redeem a free dessert of chocolate and banana crepe next time you visit!